I was at the London School of Economics recently and stopped by their Atrium Gallery exhibition space on the off-chance. Just as well I did – there’s a really good set of photos by Greg Constantine at the moment (ends 24 August 2012). I highly recommend seeing it if you can. 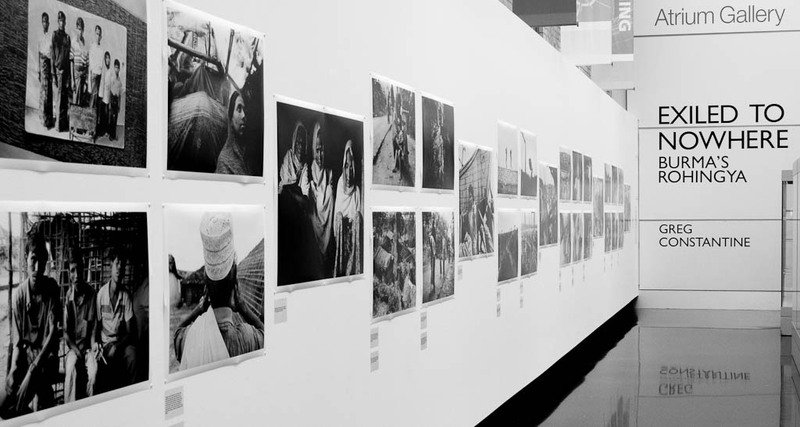 The photos show the plight of the Rohingya, a stateless people living on the margins in Burma/Myanmar and Bangladesh. You can read more about them and the broader issues of statelessness on the LSE Web site and watch Greg’s video. 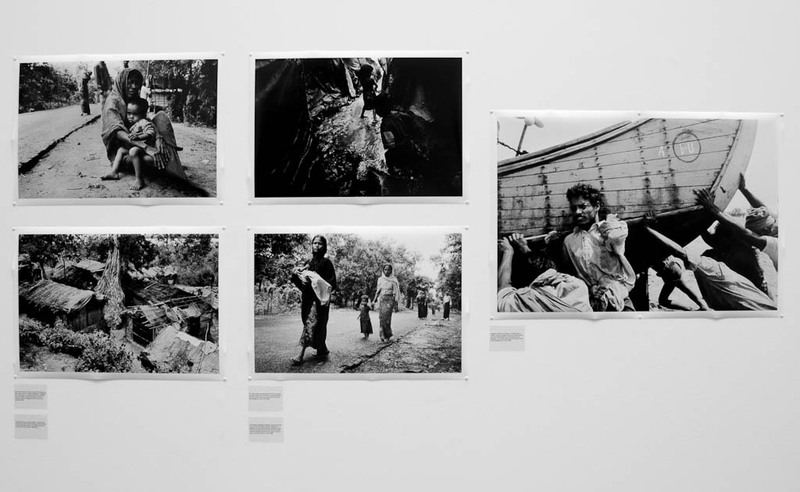 Greg uses black and white photographs to document refugee Rohingya in Bangladesh camps in a way that is both captivating and telling. Each image has its own story and speaks eloquently by itself. Captions are discrete and give useful background but are not essential to the core message. Sometimes the images are grouped to give a visual paragraph, and the whole exhibition flows nicely too. None of the photos is demeaning or disingenuous. The people look us in the eye with enough pride for there to be hope; there is poverty without the lifelessness of destitution. You will care about these people after you have seen these photographs. The photos are beautiful, which may seem a strange word to use in the context of refugees living in poverty, but the beauty comes from the balance of well-composed, technically excellent prints that tell their story and honour the people depicted without gruesome sentimentality or overstatement. You will want to look at them longer and read them. This is the way good photojournalism should be. This entry was posted in Art, Photography, reviews and tagged Art, black & white, photography. Bookmark the permalink.